This is one of the dumbest and funniest things I have seen in 2019. 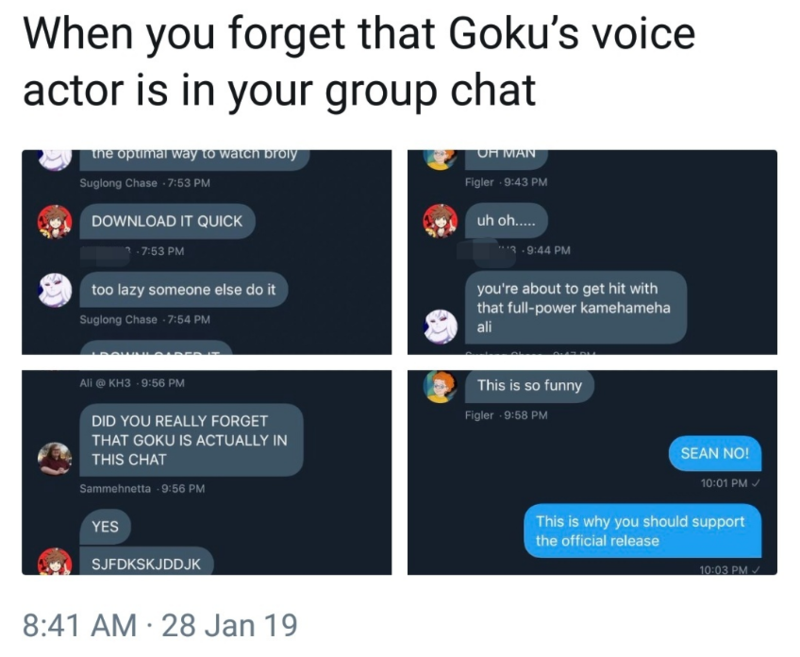 I mean… how can you forget that the voice actor of GOKU, Sean Schemmel is in your group chat!? I mean, if I was in that group chat, I would be nervous all the time thinking about how Sean would respond to my messages and this guy just blatantly shares the leak. 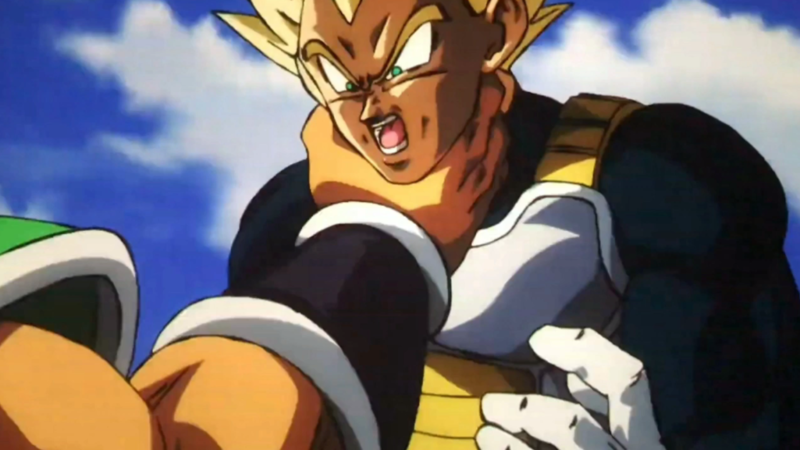 I also love how Sean responds with a Goku powering up GIF ready to blow this user to the Shadow Realm. I seriously don’t know what to say about this as pirating is illegal and no one should do it. 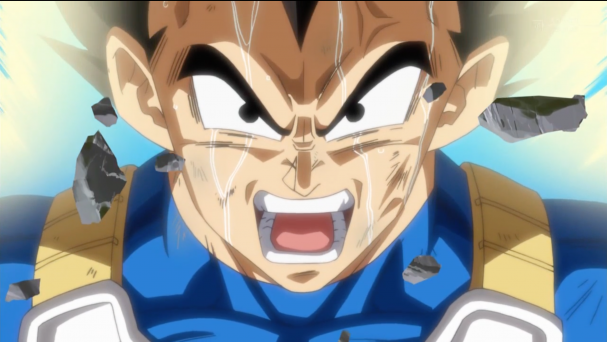 If the movie is not available in your country, just wait for the DVD or it to be available online on Funimation or Crunchyroll. People are sharing these links everywhere but I would beg you guys to stop sharing the link as it really hurts the franchise. Well, I hope you guys got a nice laugh out of this event and I hope the authorities forgive that user! 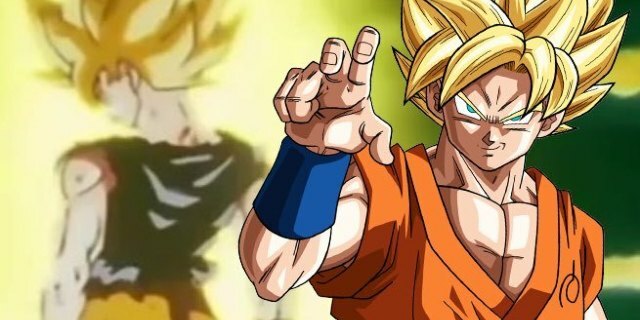 Dragon Ball Super: Broly Movie Reveals A Brand New Saiyan!